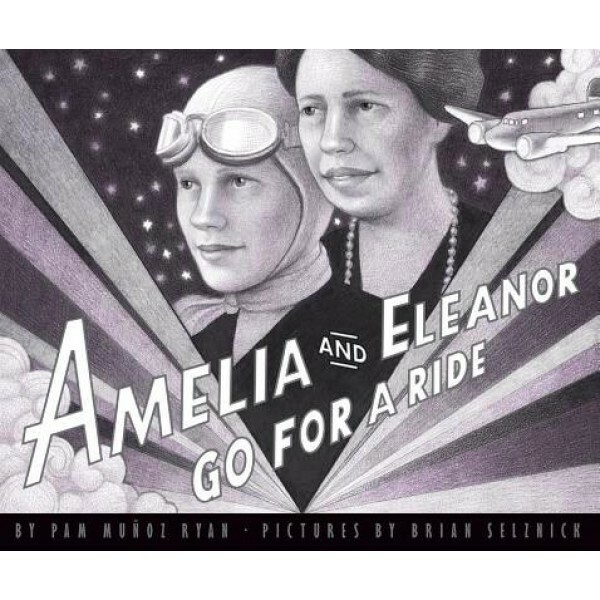 An inspiring true story of Amelia Earhart and Eleanor Roosevelt — and a thrilling night when they made history together! On a brisk and cloudless evening in April 1933, Amelia Earheart and Eleanor Roosevelt did the unprecedented: They stole away from a White House dinner, commandeered an Eastern Air Transport plane and took off on a glorious adventure — while still dressed in their glamorous evening gowns! 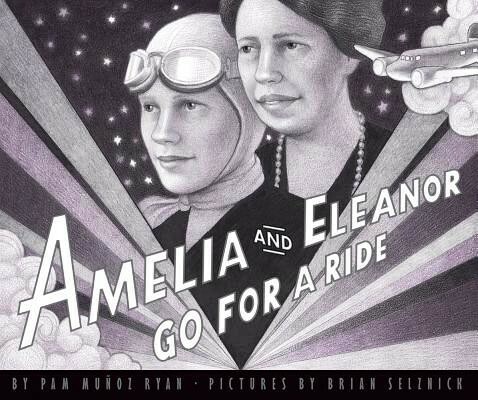 This large-format lavishly produced picture book celebrates the courage and pioneering spirit of two friends who defied convention in the name of fulfillment, conviction, and fun. Breathtaking black and white drawings — which create the look of a vintage movie — make this a visual tour de force for young adventurers, historians and any one else who dares to dream. For hundreds of true stories about more inspiring girls and women, visit A Mighty Girl's Biography section. On a clear April evening in 1933, two outspoken and strong-minded friends slipped away from a formal dinner party to have a little unconventional fun. What made this event remarkable was that the two were Amelia Earhart and Eleanor Roosevelt, dining at the White House; their entertainment of choice was to fly an airplane on a loop from Washington D.C. to Baltimore. Pooh-poohing Secret Service agents' concerns that this activity hadn't been "approved," the celebrated aviator and the First Lady stole away before dessert was served, and took to the sky. Inspired by the true facts of this little-known event, based on diaries, book transcripts, and newspaper accounts, Pam Munoz Ryan brings the thrilling evening to life as if she had been on that plane herself.